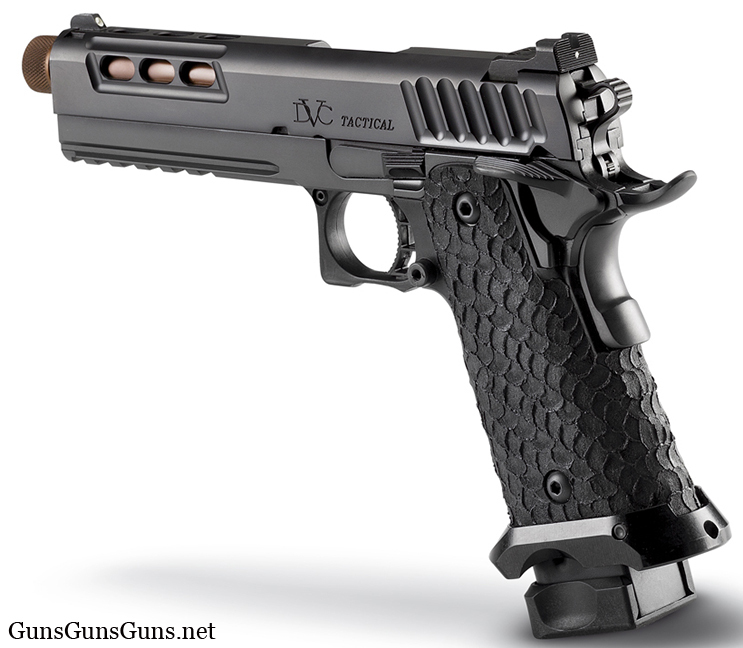 Summary: The description, specs, pricing, photos and user ratings of STI’s DVC Tactical pistol. STI’s DVC Tactical is a semiauto 1911-style pistol built on a steel double-stack frame with a steel slide, and chambered in 9mm or .45 ACP. The “DVC” acronym stands for diligentia, vis, celeritas, the motto of the International Practical Shooting Confederation. Translated, the motto means accuracy, power, speed. 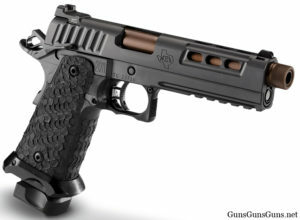 The DVC Tactical from the left. The DVC Tactical from the right. This entry was posted in .45 ACP, $2,751-$3,000, $3,001-$3,500, 1911, 9mm, Full size, Semiauto, STI International on May 2, 2017 by Staff.